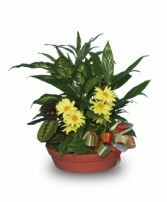 Easy to care for Kalanchoe is an extremely popular blooming plant requiring minimal plant care. Water the Kalanchoe moderately letting the soil dry completely before you water it. 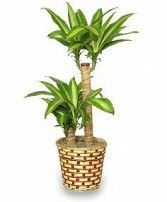 Because the Kalanchoe is a succulent over-watering can damage the plant; a container with good drainage is important. In winter the Kalanchoe prefers a drier soil than it does during the summer. So you may need to add an extra day or two between watering periods. During the spring and summer, fertilize the Kalanchoe every two weeks with a balanced slow release liquid fertilizer. 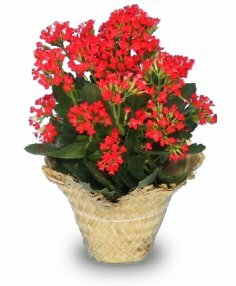 The Kalanchoe prefer bright sunny locations, but can tolerate a wide variety of light conditions. Blooming however is controlled by the light it receives. 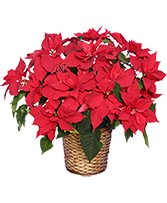 A Kalanchoe, like a Poinsettia, requires a period of darkness in order to bloom (usually 12 to 16 hours darkness for 6 weeks). 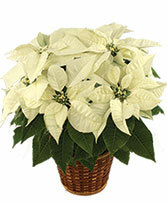 Keep the Kalanchoe above 54 degrees at all times; higher temperatures are preferred. Pruning is necessary to keep the Kalanchoe well shaped. Trim spent blooms and their stems as needed. Leaving spent blooms attached with inhibit future blooming. To make the Kalanchoe a fuller stockier plant, pinch the top back to the second or third leaf; this will encourages branching. 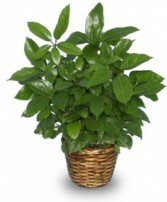 After pruning the plant may require less water. When you water examine the Kalanchoe for pests and diseases. Kalanchoe is susceptible to aphids, gray mold and edema. These problems are often the result of being kept too wet and cool. 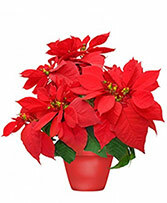 Watering the Kalanchoe by filling the saucer with water instead of pouring it on the soil may alleviate this problem.